Black Acqua gel. 200 ml. This is a gel with a liquid formula that allows the hairstyle to be defined quickly and easily; suitable for all hair types. Black spray for shine. The game is intended for use at the end of packing. The toolgives shine and softness to hair. Use: Apply a small amount to complete thehairstyle. Black Extra strong HAIRSPRAY 750 ml. Ecological hairspray with no propellant gas. Thanks to the particular fixing, it grants a very high performance and is the ideal instrument for a demanding hairdresser. Absolutely necessary as final support for hairstyles with exeptional volume and shine. Excellent to fashion and design waves and locks. Available both in Normal and Extra Strong type. Black Mousse EQUAL Mousse. 400 ml. 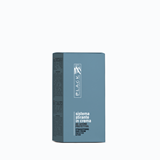 A hair restructuring mousse with ceramides which regenrates and protects all hair types. Essential to treat damages caused by external agents, such as sun, wind and saltiness. It also protects the hair from becoming electrified and grants, volume, brightness, silkiness, and long-lasting hairstyle. Shake well before using. Black Ultra strong gel. 150 ml. Sited to modem styling requirements, it provides extreme hold, shine and volume. Ensures long-lasting style. Suitable for modern styling requirements, it gives maximum hold, shine and volume after every application. Thanks to its “anti-humidity” formula, it holds the style for longer and also looks after the hair respecting its natural body. Does not leave residue on the hair and can easily be removed by brushing. Black, Ultra Strong Hairspray. 500 ml. Description: Ecological hairspray with no propellant gas. Thanks to the particular fixing, it grants a very high performance and is the ideal instrument for a demanding hairdresser. Absolutely necessary as final support for hairstyles with exeptional volume and shine. Excellent to fashion and design waves and locks. Available both in Normal and Extra Strong type. Instruction: Spray on air from a distance of 15-20cm. Repeat the operation where hairstyle is particularly elaborate.